We all know Glenn Greenwald was the journo behind Snowden's NSA story — but it turns out that Greenwald had a bit of help. Initially, Snowden got in touch with filmmaker Laura Poitras over a series of months, who put him in touch with Greenward. It emerges that in spite of repeated denials, the CIA has been keeping a firm eye on prominent thinker Noem Chomsky. For years and years. 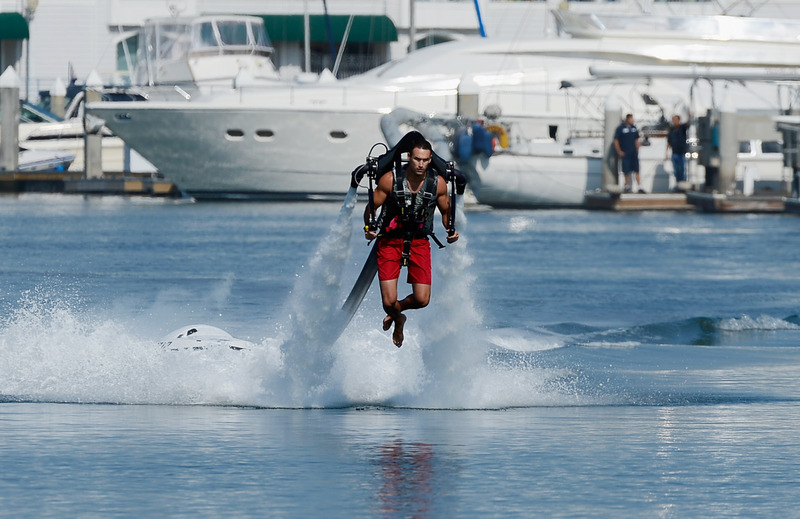 A personal jetpack in Australia, designed for use by "ordinary people," has been awarded a flying permit. Large-scale research has discovered that men with more female co-workers are way more chores around the house. The iconic New York skyline is changing. Because H&M has spent millions building a giant (and we mean giant) logo in Times Square. During a shooting class in Ohio, an instructor shot a student in the arm. Yup, that happened. A fish that loves munching on testicles has been found in Denmark. Again, really. The entire history of the world can be distilled into this 1931 chart. It's far, far too large to show here, but you can take a deep breath and have a look here. You can get this gorgeous new curved television in your home... for a casual $9,000. And finally, from the White House. Yes, the White House.